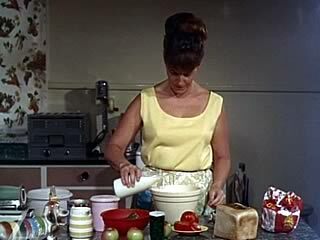 Video clip synopsis – In a typical 60s family a mother works to get dinner ready as the children come home after school. After Dad arrives home from work in the Holden, Mum serves traditional roast lamb and three vegetables. Broadband MP4 geelong_bb.mp4 (5.3MB), suitable for iPods and computer downloads. Family Life in Geelong is an excerpt from the film Life in Australia: Geelong (22mins), an episode of the Life in Australia Series (12 × 22 mins), produced in 1966. Life in Australia: Geelong: Scenes of life and recreation in Geelong Victoria without commentary. The film was made to encourage immigration and had a theatrical release. It shows typical scenes from family life in the 60s in Geelong, Victoria. Life in Australia Series: The Life in Australia Series visits state capitals and regional centres around the nation to give a picture of life in Australia in the mid 1960s. Part travelogue, it tours streets, buildings and points of interest around the towns, but the emphasis is really on providing a visual record of “typical” daily life, from work and education to home and recreation. Life in Australia Series is a National Film Board Production. Produced by the Commonwealth Film Unit. Australia has long been one of the most highly urbanised nations in the world. Part of this urbanisation is the existence of major rural centres. Geelong is Victoria’s second largest city. Located about an hour’s drive from Melbourne, it is a major port, and features a large manufacturing centre for the automotive industry as well as a major oil refinery and storage area. In the 1960s it was also a major textiles manufacturing area, though this industry has now declined significantly. Geelong has always been one of the areas that state and federal governments focus on when they promote regional development away from the capital city, Melbourne. Look at each of the scenes presented. List what happens in each of the five different scenes listed below. You may change titles of scenes if you wish. Describe the roles that we see each gender carrying out in the video clip. Does the video clip present a clear division of gender roles or are there areas where both genders have the same role? Consider your own family, or a family known to you and note the roles each person plays. Compare these results to the video clip and discuss the differences. Debate the topic ‘stereotyping can have a harmful effect on people and on our society’. The video clip was made in the 1960s to encourage people to live in Geelong. Write a 500-word voice-over script to suit the above stated purpose and likely audience of the video clip. Imagine you are a filmmaker making a modern 90second film about modern family life in the city (or country) for your class. Decide the message about family that you want to convey. List and describe the five scenes you would shoot for your film. Write a 500-word voice-over script and include a list of the music titles you would include. Present written work to the class. This story is shown entirely through visual images and a musical soundtrack which accompanies it. Create a short performance which shows a more up to date view of life today.